Extreme Sailing Series™ organiser OC Sport has confirmed the bustling Mediterranean City of Nice as the Host Venue for the penultimate Act of the 2014 season, to be held 2-5 October. Nestled in the heart of the French Riviera, and flanked on either side by Cannes and Monaco, Nice will be the final European Act of 2014, before the event containers are packed and shipped to Sydney, Australia for the grand finale. 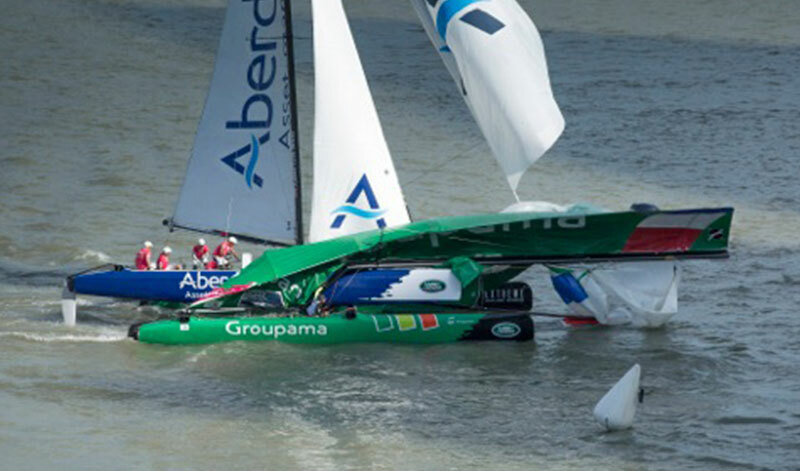 The 11-strong fleet will race on the Bay of Angels, and over the last three years the event has attracted thousands of spectators who line the world famous Promenade des Anglais to watch the Extreme 40 catamarans go head-to-head. Nice has a reputation as one of the most challenging venues on the global tour which in previous years has demanded the entire repertoire of sailing skills from the elite sailors to deal with light and fickle breeze to mistral conditions, which last year delivered gusts of over 30 knots. 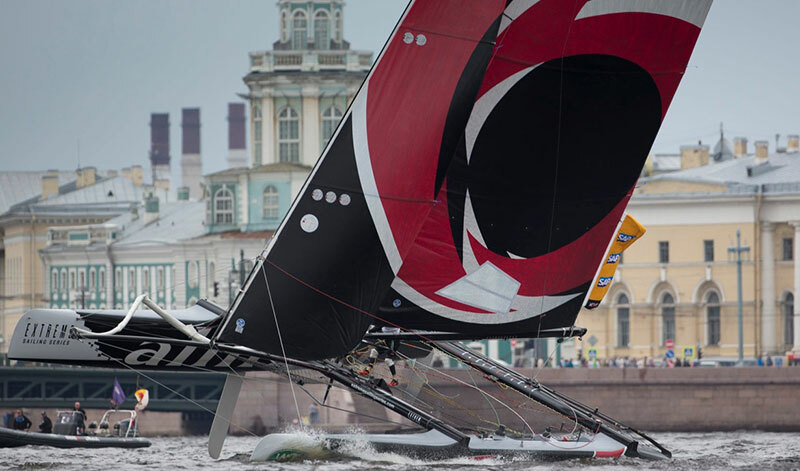 But next, the Extreme 40 fleet will return to the Welsh capital, Cardiff, as the centrepiece to the Cardiff Harbour Festival where they will race on Europe’s largest waterfront development over the UK August bank holiday weekend. Racing in the heart of Cardiff Bay in the circuit’s action packed Stadium Railing format, in 2013 in excess of 120,000 people crammed around the bay to enjoy the excellent spectators views of the racecourse from the waterfront public Race Village. And looking further forward to next summer, eight Host Venues have been confirmed for 2015 Extreme Sailing Series. 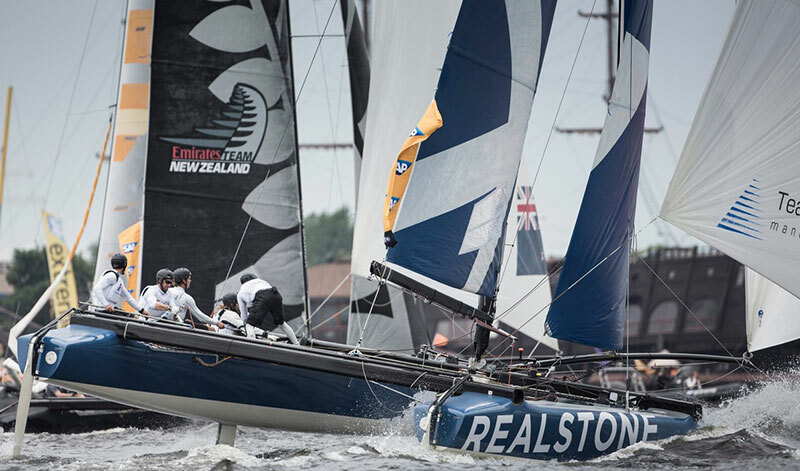 Singapore will again host the curtain raiser to the 2015 Extreme Sailing Series™ world tour – the first of eight Host Venues across three continents to be revealed, as confirmed by Series organisers OC sport and Series Main Partner, Land Rover. The event will take place from 5-8 February, when the fleet will return to the heart of the high-rise and cosmopolitan city, just over seven weeks after the 2014 Series concludes in Sydney, Australia. In 2014 Singapore delivered an outstanding event, receiving widespread praise for the spectacular racing that enthralled the public, media and VIP guests alike, with the fleet of Extreme 40s racing on the world famous Marina Bay – one of the tightest and most spectacular inner city courses that the Series visits.